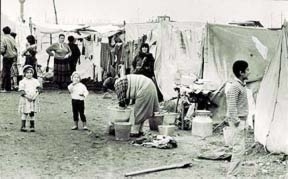 Eni, the Italian oil and natural gas company, is donating U.S. $2.25 million to the United Nations High Commissioner for Refugees (UNHCR) to assist the government of Azerbaijan in settling 400 families of internally displaced persons (IDPs) and refugees in the regions of Aghjabadi, Barda and Ganja. This donation represents the largest single European corporate contribution to UNHCR in recent years. 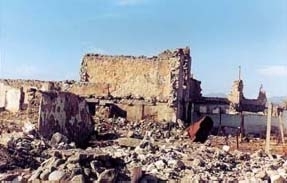 According to the UNHCR, there are nearly 850,000 refugees and IDPs in Azerbaijan, including more than 650,000 displaced by the Nagorno-Karabakh conflict. About 11 percent of the country's population have fled their homes, often leaving nearly everything behind. Eni has committed $2.5 million to help rehabilitate refugees whose homes have been destroyed and who had to live in subhuman conditions since 1992-93. The purpose of the 18-month project is to enhance the overall socio-economic sustainability of the communities and to promote greater independence from external assistance. It includes constructing single-family limestone shelters complete with water, electricity and sanitary services as well as community and educational facilities (including schools, day-care centers, community centers and health clinics). The project will promote income generating opportunities and small business assistance in the agriculture, cottage and handicraft sectors by means of community-managed micro credit lending schemes, village savings programs, training and extension activities and business development services. To ensure better access to primary health care services, it will promote community health care committees and groups, strengthen primary care facilities and provide infrastructure support, training and supplies. It will also address the severe shortage of drinkable water in the Lachin Winter grounds by promoting a water resource management scheme involving the drilling and rehabilitation of wells and the provision of storage tanks to meet the demand for water. Eni has been operating in Azerbaijan through its subsidiary Agip Azerbaijan since 1995. Together with local authorities and international organizations, Eni is helping the Azerbaijani people cope with critical social and health issues. The company has supported the World Health Organization project, which assists the Ministry of Health in malaria prevention and control. It has also financed, with its partner oil companies participating in the Kurdashi offshore Consortium, UNICEF's Primary Health Care Revitalization program aimed at improving the health conditions of mothers and children in the Neftchala and Lankaran districts. UNHCR, the UN refugee agency, provides protection and assistance to over 21 million refugees, internally displaced persons and others of concern. UNHCR's annual budget totals about U.S. $1 billion, and the agency operates in 120 countries around the world. UNHCR has twice been awarded the Nobel Peace Prize for its humanitarian work.